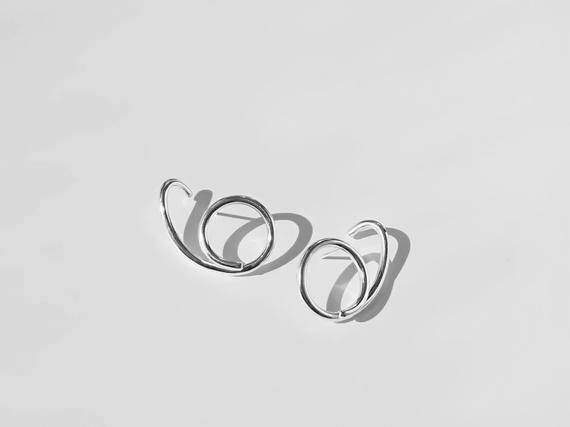 - The earrings are made out of 2.5mm sterling silver round wire, forming a circle on the earlobe. 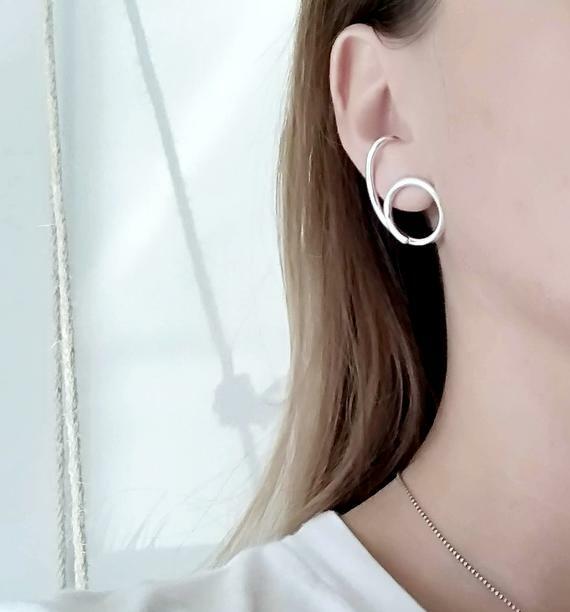 The rest of the earring rests on the hollow part of the ear. The earrings are lightweight and easy to wear. 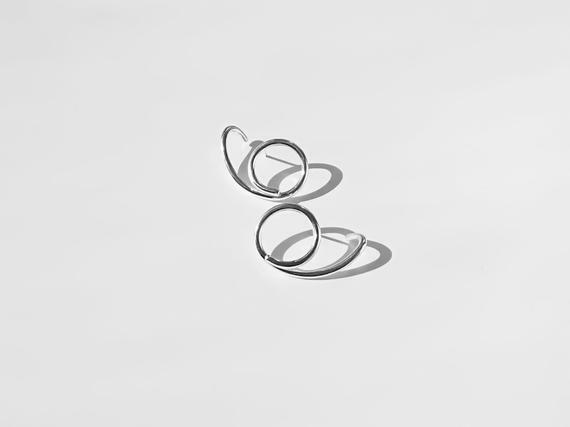 - The circle measures 2cm (0.79 inch) in diameter, the entire earring is 3.5cm (1.38 inches) long.